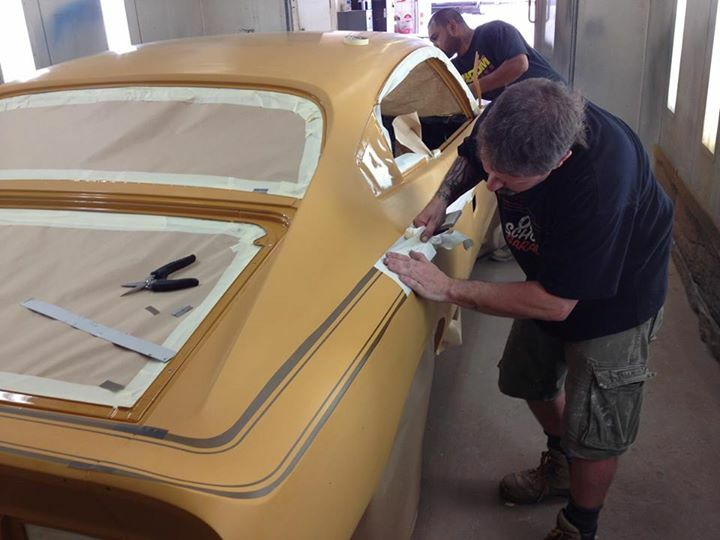 The day started with Roland fitting-up all panels on the car so Jamie and Rob could apply the R/T stripe masking kit. 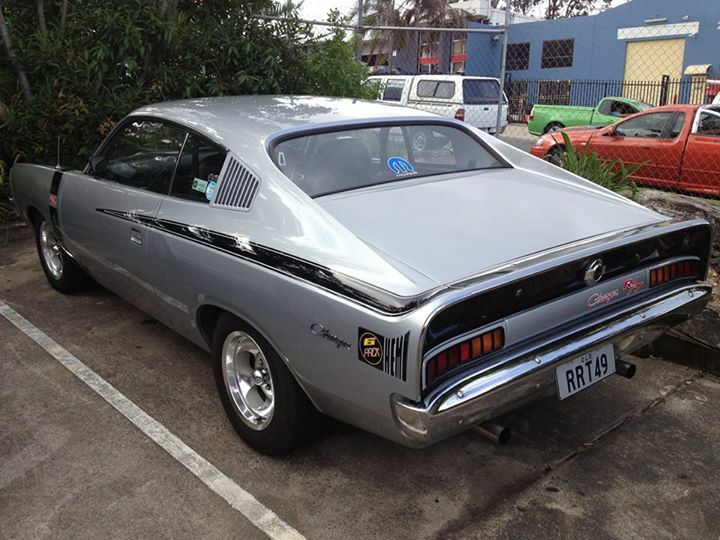 Mark was kind enough to bring in his R/T Charger as a reference to help Jamie position the stripes correctly...thanks Mark. 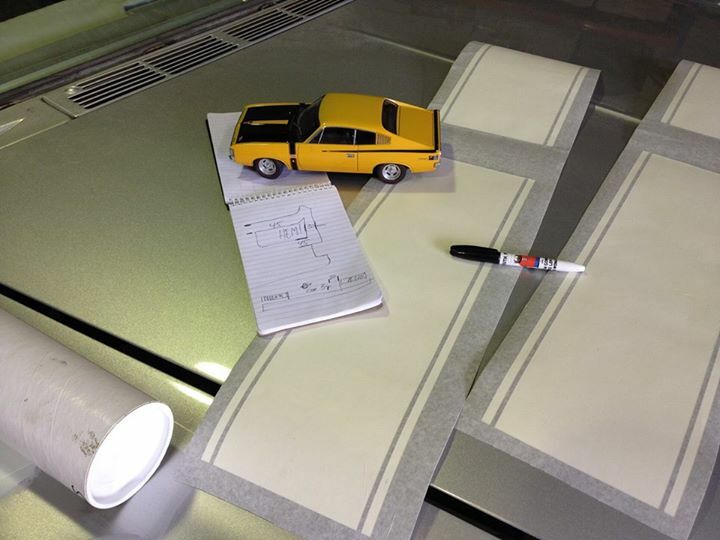 So while Roland got on with the assembly, Jamie was taking measurements and mocking-up the stripe kit on the car using masking tape. 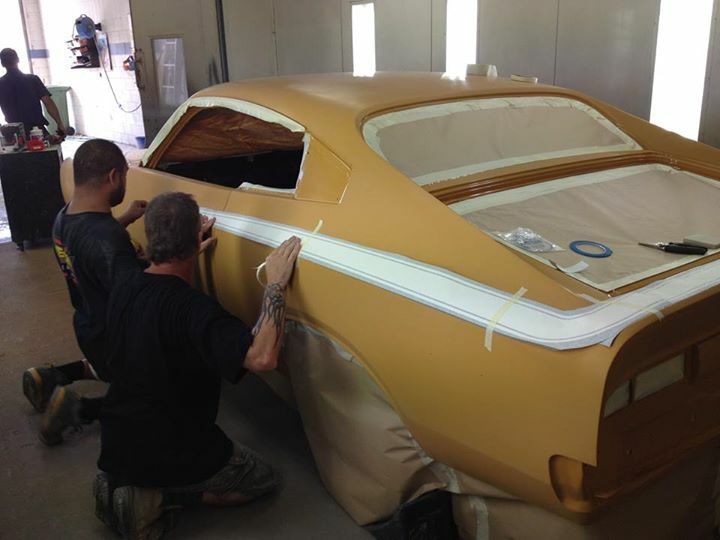 Once Jamie was happy with the position of the stripes, he and Rob started the somewhat nerve-racking task of applying the masking kit. Although this was an extremely fiddly and time consuming task, all went to plan and the car is now fully masked. 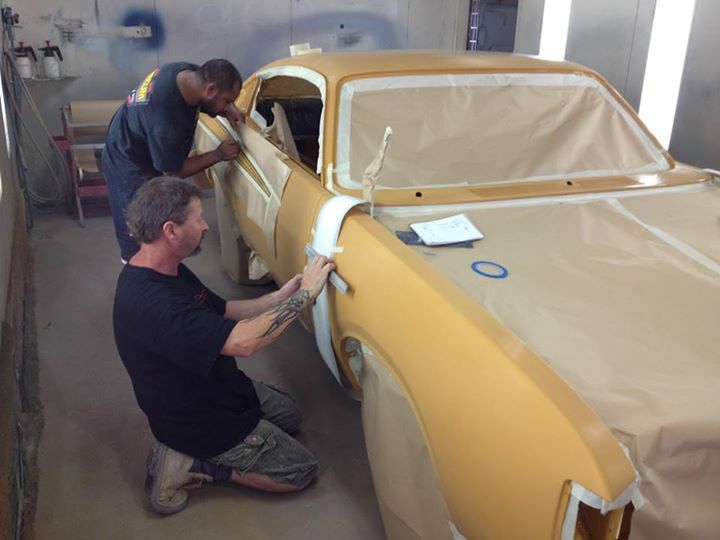 So first thing tomorrow morning Rob will be able to paint on the stripes, unmask and clear the car.